Vineyard Haven - Tisbury, named for Tisbury, England, the birthplace of Thomas Mayhew, is better known as Vineyard Haven. The port of Vineyard Haven is home to the Steamship Authority year-round. Vineyard Haven's harbor is one of the most beautiful on the island and offers up a bit of history. In the 1800's most of the coastwise shipping traveled through the Vineyard Sound and Holmes Hole, as it was called then, was a good port for anchorage. 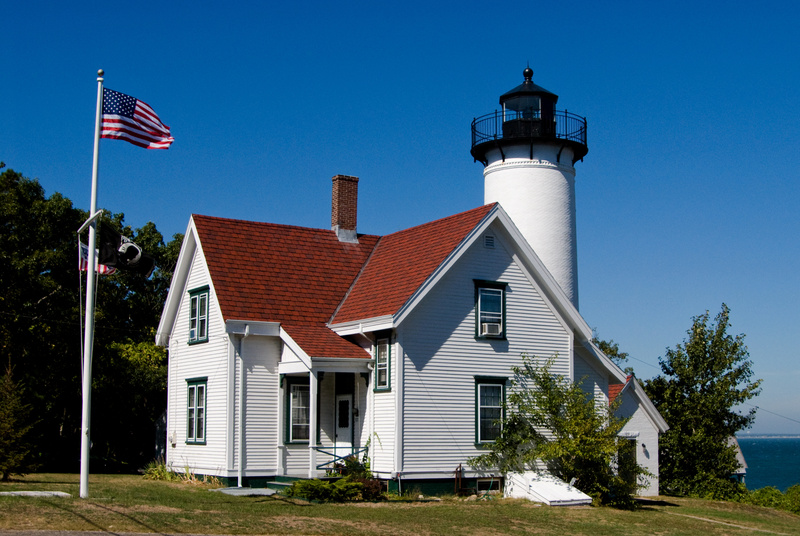 Vineyard Haven is home to a variety of outdoor recreational activities. Mink Meadows Golf Club features a challenging layout with rolling terrain and beautiful ocean views. Water activities in Lagoon Pond include paddling, sailing, swimming, and fishing. The Tisbury Meadow Preserve has trails for hiking, biking, dog walking, cross-country skiing, and horseback riding. Tashmoo Beach is a great spot for a morning stroll. Owen Park Beach is close to town and great for picnics. Tisbury Town Beach has quiet, warm waters for swimming and is a good place for boat viewing. The Vineyard Haven Harbor Cultural District has a variety of art galleries on Main Street. The district is also home to dance studios, movie theaters, and performing arts. Although the art is the real heart of the shopping scene in Vineyard Haven, there are other shopping opportunities including boutiques, furniture, and home goods stores. A variety of restaurants with different ethnic flavors, including, Asian, Mexican, Brazilian, are in Vineyard Haven. Vineyard Haven has a wonderful collection of sit down restaurants and take-out places to enjoy. Search current real estate listings in Vineyard Haven.